I had some time to think about it over the next three hours or so. By the time I returned, I was 99% sure I knew what it was, because in 1985 I once sat down right next to it. 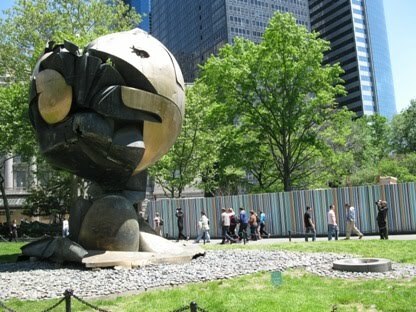 This was — and is– “The Sphere” by Fritz Koenig, and it once sat in the plaza in front of the World Trade Center. It awaits return to its original site, where it will be part of the World Trade Center memorial Given what happened around it, it survived remarkably well. The dish-like structure to its right in my photo is an eternal flame. 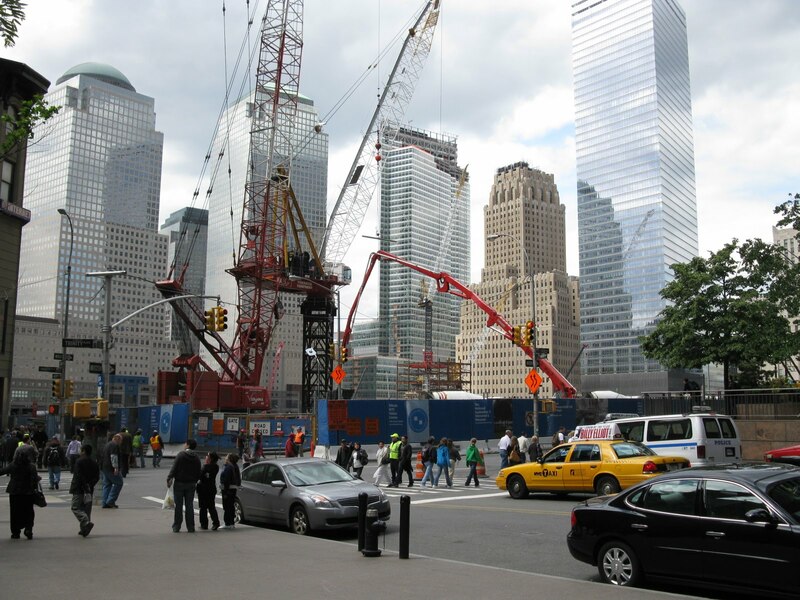 This is the World Trade Center site itself. You get a better sense of what went before if you go to the little memorial site set up in a storefront across the street on the south side and look north. They’ve provided you with some photos of what it looked like from the same storefront window before the towers fell, and if you had ever been there before–and I had–suddenly they spring back into place.